Namibia is located on the south western coast of Africa bordering the Atlantic Ocean to the west (1500 km coastline), South Africa to the south, Botswana to the east, Angola to the north and Zambia to the north east. The name Namibia is derived from the oldest desert in the world, the Namib Desert. The country covers 824 268 square kilometres divided into fourteen (14) Regions namely Erongo, Hardap, Karas, Kavango East, Kavango West, Khomas, Kunene, Ohangwena, Omaheke, Omusati, Oshana, Oshikoto, Otjozondjuba and the Zambezi Region. Namibia is the second least densely populated country in the world after Mongolia with 2.6 people per square kilometre. Languages spoken include Afrikaans, English, German, Herero, Khoekhoegowab, Lozi, Oshiwambo, Rukwangali, San and Tswana. Namibia was annexed by Germany in 1884 and remained its colony until 1915. In 1920 South Africa was granted authority by the League of Nations to administer Namibia and the country was considered the fifth province of South Africa, previously referred to as South West Africa. 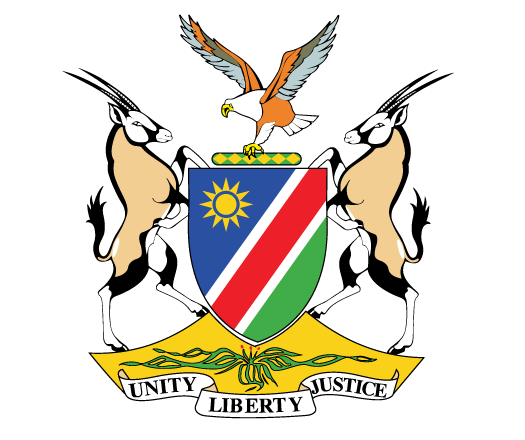 Namibia gained independence from the South African apartheid regime on 21 March 1990 and is a multi-party democratic state that hold presidential and local government elections every 5 years, led by a President elected for two five-year terms. Government is divided in three tiers namely the executive, legislative and judiciary. Namibia for the first time has appointed a Deputy President and Deputy Prime Minister in 2015 and is the first country in the world to appoint a female Prime Minister. 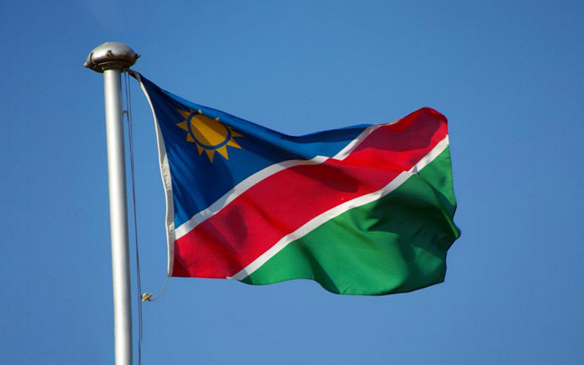 The National Flag is a symbol of Namibia’s struggle for national unity. It symbolises peace, unity and a common loyalty to Namibia. The Sun symbolises life and energy. The colour gold represents warmth and the colour of our plains and the Namib Desert. Blue symbolises the Namibian sky, the Atlantic Ocean, our marine resources and the importance of rain and water. Red represents the Namibian people, their heroism and their determination to build a future of equal opportunity for all. White refers to peace and unity. Green symbolises Namibia’s vegetation and agricultural resources. 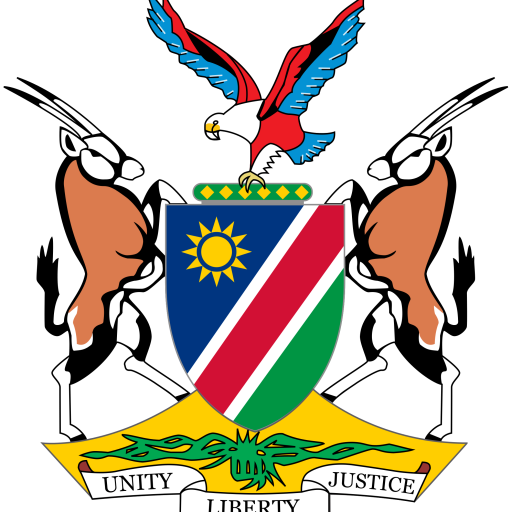 The Namibian Government is divided into three organs namely, Executive, Legislative and Judiciary. The legislative branch is responsible for making laws which are implemented by the executive and interpreted by the judiciary branch. The economic sectors that contribute to the Gross Domestic Product of Namibia are categorized under Primary, Secondary and Tertiary as per the National Accounts of the country. Visit www.nsa.org.na and www.bon.com.na for macroeconomic information and updates. Road Namibia has a well-established road infrastructure. The road network covers an approximate 44,500 km consisting of tarred, high quality gravel and salt roads. Sea There are two ports in the country, Walvis Bay Port and Luderitz Port. The Walvis Bay Port is the largest and strategic alternative port serving land-linked countries such as Zambia, DRC and Botswana. The port is also increasingly used for cargo destined for Angola and South Africa due to its non-congested and efficient service. For more information visit: www.namport.com.na. Telecommunication Telecom Namibia Ltd is Namibia’s national communications operator. Namibia boasts a 98% digital telecommunications infrastructure. Namibia operates on LGE 4G network. Cellular Namibia’s cellular network service providers are MTC, operational since 1995 and TN Mobile. As of August 2013, Namibia has 14 Regions with the split of the Kavango Region into Kavango East and Kavango West Regions.